Whether you’re searching for a light-duty RAM 1500 to add a little flair to your Kearney drive, or your Grand Island business needs a heavy hauler like the RAM 2500 or 3500 to get work done, you’ll find the perfect truck at the perfect price in our inventory. Explore infotainment options, choose from 2WD and 4WD drivetrains, and get access to industry-exclusive accessories like the RamBox cargo management system and build a truck you’ll be proud to drive. Browse our inventory here and, when you’re ready to learn more, read on the see why, for a good deal on a great ride, Midway Auto should be your first stop. First Responder Bonus: Emergency personnel from Hastings and the surrounding areas have access to exclusive incentives to help save hundreds on their new vehicle purchase. Finance Tools: Find your ride then use our tools to calculate your payment, value your trade, and apply for the financing you need to take it home. Convenient Service: Schedule your maintenance and repair visits when it suits your schedule and let our factory-trained and certified specialists keep your vehicle in top form. 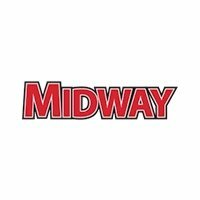 When it comes to giving you the affordability and convenience you need, Midway is here for you. Contact us today to learn more.